The market for enterprise resource planning (ERP) systems has been slowly evolving. On the vendor side, ERP systems take many years to mature, both in terms of functionality as well as their ecosystems of partners. At the same time, on the customer side, ERP systems are long-lived. If properly maintained, customers can keep these systems for a decade or even longer. As a result, key players in the ERP market are slow to turn over. From the beginning, Acumatica incorporated a unique strategy relative to older ERP providers in regional world markets: It would become the foundation for them to build their own next-generation cloud offerings. Instead of these OEMs (Acumatica’s term for them) having to develop a new cloud ERP system from scratch, they could take Acumatica as a foundation and add their own functionality to support unique local requirements. Acumatica started with two OEM relationships: MYOB in Australia/New Zealand and Visma in the Nordic region. More recently, Acumatica has added ACCEO (Canada), Lexware (Germany), Censof (Malaysia), and Senior Software (Eastern Europe). In interviews with Acumatica’s CTO/founder Mike Chtchelkonogov and COO/SFO Nigel LeGresley, the benefits of the OEM strategy became clear. Development pressure. Chtchelkonogov maintains that, in a positive way, an OEM applies pressure on Acumatica’s developers, by providing a more complete set of user requirements and insisting on better platform capabilities, APIs, and development tools. This benefits all the OEMs and ultimately all Acumatica customers and partners. The typical startup ERP vendor has a small number of customers and only gains insights into market needs as its installed base grows. In a sense, Acumatica has had a jump-start, by having OEMs that pressure Acumatica to do more, and to do it more quickly. Quality Assurance. The OEMs also provide a quality and testing function for Acumatica as it develops new releases. They have their own product management groups, which put new versions to the test and provide good feedback. Revenue stability. The benefits are not just on the technical side. OEMs pay Acumatica royalties on sales of the next-gen product, subject to an annual minimum. This gives Acumatica a stable source of revenue to fund development, apart from its own product sales and equity investors. In some ways, Microsoft has a similar strategy with its ISV program for Dynamics AX (LexisNexis is one of the earliest ISVs). But Acumatica’s OEM program is more core to its business model than Microsoft’s ISV program is. Moreover, unlike most of Microsoft’s ISVs, Acumatica’s OEMs private label the resulting product as their own. For example, a search of VISMA’s website shows zero hits for the term “Acumatica.” There is a short mention of Acumatica on the MYOB website, but only in a single paragraph in its 2015 announcement of MYOB’s next generation product. Interestingly, MYOB in that announcement revealed that it made a minority investment in Acumatica and also took a seat on the company’s board. In our view, this further indicates the strategic nature of Acumatica’s OEM program. Acumatica has come up with an interesting way to cost-effectively address the needs of customers in certain industries, by packaging its products into industry “editions.” Each industry edition combines Acumatica’s horizontal functionality (primarily financials, distribution, and customer management) with industry-specific modules. The industry editions are separate SKUs on Acumatica’s price list and are only sold by authorized resellers, which must be certified for them. This ensures industry and product knowledge to make implementations successful. So far, there are two industry editions: (1) Commerce Edition, which packages Acumatica’s base functionality with Magento’s e-commerce solution and a partner-built connector between the two, and (2) Field Service Edition, which packages Acumatica’s base functionality with the field service software that Acumatica gained from its acquisition of M5 in 2016. A manufacturing edition is planned for later this year. We also heard plans from Acumatica partners hoping to bundle their offerings into other editions. Multi-tenant application with multi-tenant database: This is the most cost-effective choice, as it maximizes computing-resource sharing among multiple customers. But performance may be limited if the customer has a spike in usage. Cloud platforms today include Amazon AWS and Microsoft Azure. Multi-tenant application with dedicated database: This provides better performance, as each customer has its own database. Dedicated application with dedicated database: This is the costliest option, but it provides the highest performance, as computing resources are dedicated to the customer. Customers of multi-tenant cloud ERP providers sometimes face a problem with resource consumption. Because one customer consuming an excessive amount of computing resources can degrade performance for other customers on the same node, the provider has to put limits on how much any single customer can consume. In many cases, the provider’s contract will call for a surcharge in periods when consumption exceeds some limit. Acumatica’s approach solves this problem by allowing customers who anticipate low levels of usage to choose a deployment option that is most cost-effective while allowing customers who demand higher performance to choose the second or third option, at a higher price point. Customers, of course, can start with one deployment option and move to another. Those few customers that desire an on-premises deployment or hosting by a service provider will need to choose the third option, the fully dedicated option. The licensing model is also flexible: Customers can buy Acumatica as a subscription service, or they can buy it as a perpetual license. In recent years, however, customers are increasingly choosing the subscription option. 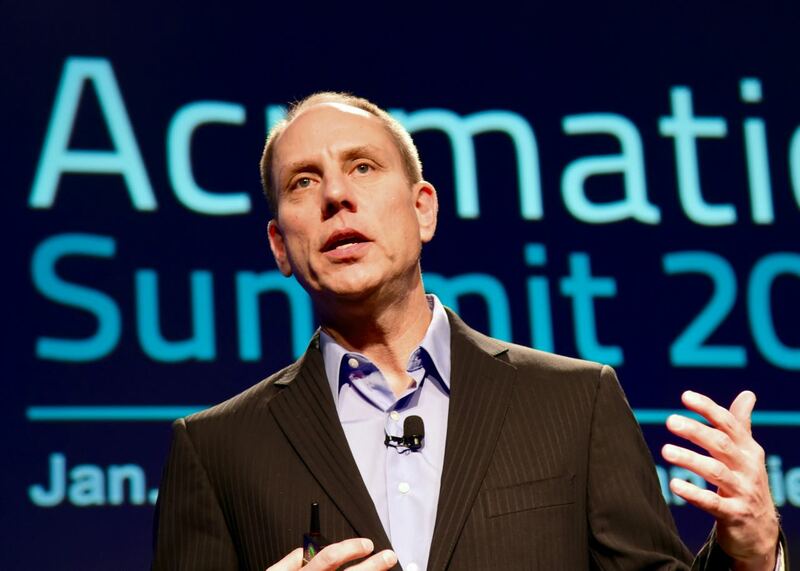 Nothing spells success like growth, and Acumatica is showing great momentum. The company claims 100% growth in revenue in 2015 and 83% growth in 2016. Acumatica’s smaller size relative to more mature providers makes it easier for it to achieve those growth rates, and we would expect them to become more moderate in the coming years. Nevertheless, in the face of such growth no one should discount Acumatica as an up-and-coming provider. In recent software selection deals at Strativa, Acumatica partners have performed well. Of course, no vendor wins every deal they’ve been in. But, for a young provider, Acumatica and its partners have proven capable of getting to final stages of selection, especially recently. Acumatica is still a new entrant to the ERP market. Although Acumatica claims over 2,000 live customers, it does not publish what percentage of those customers are really customers of its OEMs. Generally, vendors like to disclose numbers that make them look good, and our only conclusion from this is that a large percentage of its customers must be OEM customers. Nevertheless, 2,000 is a good number relative to other new entrants to the ERP market, and it does allow Acumatica to amortize its development efforts over a significant number of installations. If there is one area where we would like to see Acumatica adjust its strategy, it is in its target market. CEO Jon Roskill (shown nearby) makes a major point about serving the “abandoned mid-market,” as he sees other cloud ERP providers moving up-market. However, the typical Acumatica customer today is quite small, mostly in the under-100 employee range, or even under 50 employees. Yet, the functionality that Acumatica already has is also relevant to somewhat larger companies. Based on our experience in software selection deals, we believe that Acumatica could accommodate customers with several hundred users without having to change the product. And, it could do so without abandoning its desire to serve smaller companies. As a new entrant, Acumatica has the advantage of being able to develop a next-generation ERP system without the baggage of a legacy installed base. As such, small and even midsize organizations considering a new system may want to take a look. This entry was posted in ERP Selection and tagged Acumatica, Cloud, ERP, ERP Selection, Vendor Selection Consulting. Bookmark the permalink.